We create and manage Facebook pages designed to grow your business by personalizing each post for your needs. Your unique ads will be directed toward your ideal audience, ensuring the best use of your advertising budget. 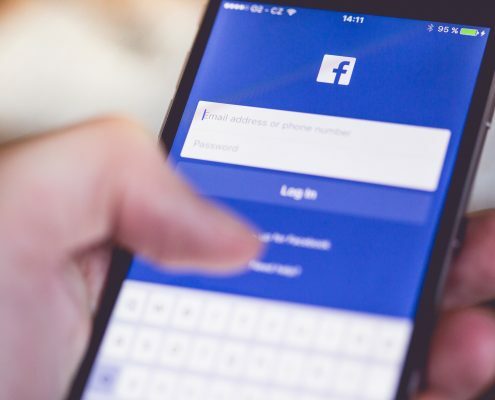 A strong Facebook presence has become ubiquitous with good marketing, but it can be incredibly time-consuming, and it has specific best practices that change constantly. If your brand presence on social media could be more effective, more frequent, or if having a professional manage it and bring a noticeable return on investment would be a marketing relief, contact us. Our graphic designer can work with you to create a logo for your business or brand, or we can help design an image with optimized dimensions to showcase your business properly on Facebook. Do you need to explain an aspect of your business? Want to create a helpful how-to? Animated explainer videos are the way to go! The Blue FOCUS can provide professional videos at a cost accessible to small business owners. If your business needs a stronger brand, we can help with that too! If you can put a logo on it, we can get it–shirts, name-brand jackets, caps, mugs, pens, cookie tins, watches, headrest covers, lanyards, tech gear, and more! PLUS all your printing NEEDS business cards, flyers and more. Ask about our promotional products!